Treating seniors with respect and patience is an important part of caregiving. 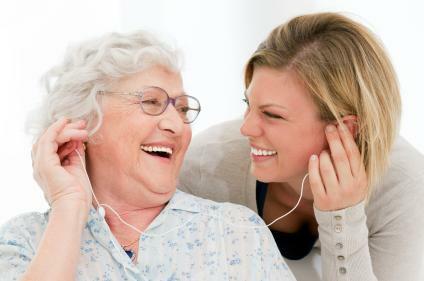 However, all too often in the rush to get tasks completed, caregivers lose the important sense of human connection and sensitivity that should accompany caregiving. In an effort to reduce the impersonal feeling of caregiving and make a better human connection with care recipients, facilities like Tokyo Medical Center in Japan are teaching and encouraging the “humanitude” method of caregiving. Derived from the words “human” and “attitude,” humanitude caregiving is intended to help caregivers connect with care recipients on a more meaningful, human level. For example, nurses working with a patient who suffers from Alzheimer’s were instructed to help her in and out of the shower by remaining in front of her, where they could be seen. Using gentle touch, maintaining eye contact and speaking in soft tones produced a positive result in a patient who had previously screamed relentlessly and combatted any attempts at bathing. While the method is still taking hold, similar strategies could be potentially useful for private duty caregivers in the U.S., and agencies can even take advantage of technologies like home care software or a home care system such as ClearCare Online to better manage human connections in care. For example, with the care needs of a client logged in an agency’s home care software or home care system, agency administrators can add specific instructions to tasks within the home care system. For example, on a bathing task, they can note for caregivers to remain at eye level with the client and talk them gently through the process, checking in to make sure that water temperature is comfortable and that the client overall feels comfortable with the process. Likewise, caregivers can also use the home care software or home care system to leave important personal feedback for administrators – such as when a client is feeling uncomfortable with something, or are experiencing emotional times. This level of communication, facilitated with the help of the home care system, can help keep caregivers in touch with the needs of their clients and establish a more meaningful connection between the business of care and the human action of caring.